Besides the all-new Encore and Encore GX SUVs, Buick’s presence at the Shanghai Auto Show also includes the GL8 Avenir Concept. Interestingly, Buick already offers a GL8 Avenir in China and has done it since 2016 when the sub-brand debuted in the country. However, the concept version features design changes and additional equipment. Developed by GM’s Pan Asia Technical Automotive Center (PATAC) joint venture in Shanghai, the GL8 Avenir study is fully functional and hints at Buicks to come. Since the automaker describes it as the Buick concept vehicle that’s “the closest to mass production,” one can assume it previews a facelifted GL8 Avenir or an even more upscale version. On the outside, the GL8 Avenir study doesn’t look that different from the existing production model. The biggest changes occur at the front where the MPV features new headlights, updated grille, and a redesigned bumper. Inside, the concept draws inspiration from waterfalls when it comes to the design of the seat backs, seat cushions, and armrests. The interior also pays homage to traditional Chinese ink painting via light gray and blackish-blue hues, complemented by a dark blue ceiling and fine-woven light cashmere carpet. 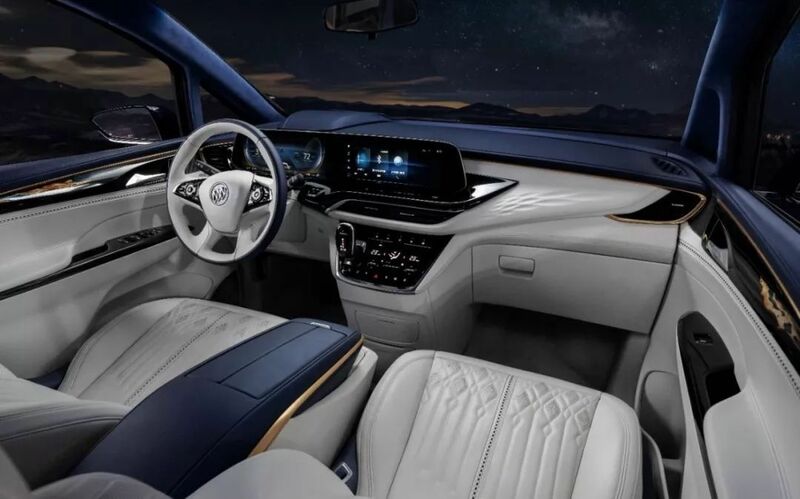 The Buick GL8 Avenir Concept also features significant updates to the dashboard which now houses a 12-inch touchscreen display, a digital instrument panel, and a 14-inch head-up display (HUD) system. The show car also features two luxury seats on the second row that come equipped with a central armrest that houses a cooled wine cabinet.